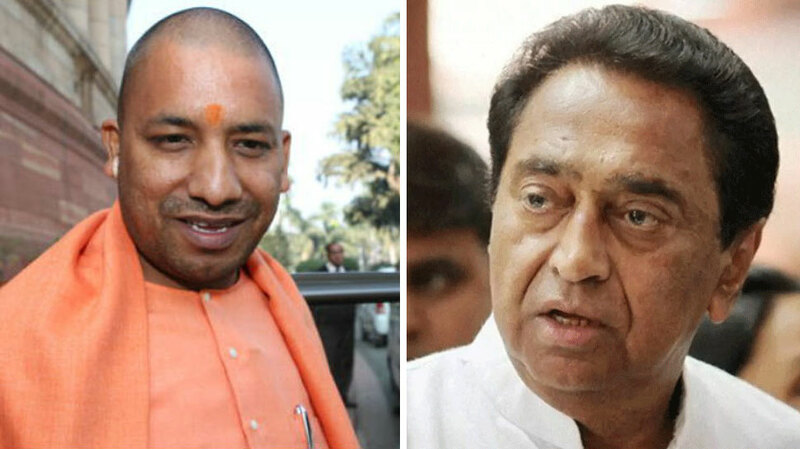 Home > Politics (English) > How Kamal Nath and Yogi Aditynath are related to each other? Nikita Khrushchev, the Soviet statesman who led the Soviet Union during the part of the Cold war from 1953-1964 quoted that “Politicians is the same all over. They promise to build a bridge even when there is no river.” This statement is not only restricted to the boundaries of Russian subcontinent but also to every nation which adapted democracy. Despite being universal in nature, the quote might be unacceptable for masses because some of them trust their politicians more than their girlfriends or spouses. The political conditions in India might look similar but its shabbiness cannot be defined in a 500 words article. People not only admire politicians but some of them worship them. It doesn’t matter how many criminal charges are sanctioned on you if you can tickle the emotional or religious side of the masses, you’re a successful politician. There are numerous “Karyakartas” of Congress and BJP out there, who are campaigning to promote their parties for upcoming elections again by tickling religious issues. Just like every profession, politics also has its season. The importance of communal riots in politics is very much similar to the significance of Diwali for Mithaiwaalas. It’s the season when aspiring politicians comes into play by burning houses, vehicles, humans etc. The sole motto of their rallies is ” Jitna Jalaoge, utna Kamaoge! ( the more you burn, more you’ll earn). The current chief minister of Madhya Pradesh, Kamal Nath who hails from Indian National Congress(INC) was also one such leader, who is accused of 1984 anti-Sikh riots. Two people eyewitnessed the presence of Kamal Nath along with Vasant Sathe in the mob that tried to break the doors and get into Rakab Ganj gurdwara. One of the biggest culprits, Sajjan Kumar was finally been convicted life-imprisonment after three decades. But some of the criminals are still out there, preparing some more hate speeches for further campaigning. The lack of evidence is one of the reasons why Kamal Nath contested elections in Madhya Pradesh and became the Cheif minister of the state. Similarly, the arch rivals of INC, Bhartiya Janta Party(BJP) also have one such young and vibrant leader whose name is written with the blood of many people. Yogi Adityanath, the current and 21st chief minister of Uttar Pradesh is been involved in dozens of controversies. Apart from being called as the name-changer, there’s a lot more in his list of crimes which includes hate speeches, attempt to murders and many more. Yogi Adityanath had been involved in three charges related to rioting (IPC Section-147), one charge related to Attempt to murder (IPC Section-307), one charge related to Act endangering life or personal safety of others (IPC Section-336), two charges related to Trespassing on burial places, etc. (IPC Section-297) and one charge related to criminal intimidation (IPC Section-506). It’s pretty ironical that one should abstain from all kind of criminal activities to get into most of the government jobs but the people running the government are roaming freely even after harsh criminal cases registered against them. The bond of hate and communalism is the factor which makes these two Naths similar to each other. Sadly, morality died somewhere between politics and humanity.